← Gift ideas for Grads! Today is the last day to enter the Epic Mom Contest! Do you have an Epic mom? Tell us about her! Enter our Epic Moms Contest, for a chance to win a Rhythm of Love Pendant, valued at $499! Please go to our Facebook Page to enter! Click here. 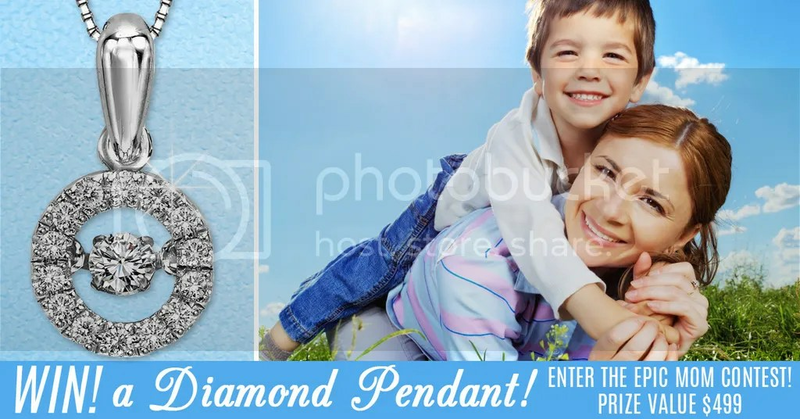 This entry was posted in Contests, Jewelry and tagged contests, epic mom, epic mom contest, mother's day, rhythm of love, win a diamond pendant. Bookmark the permalink.